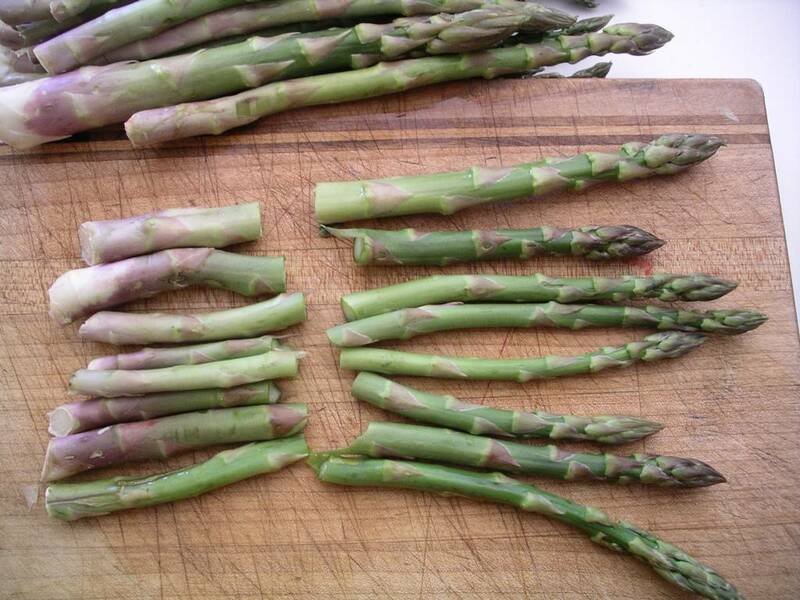 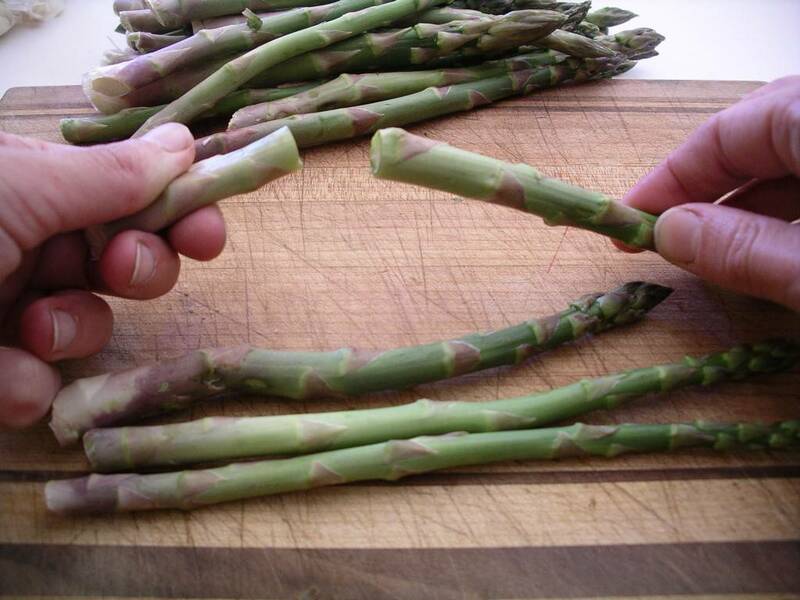 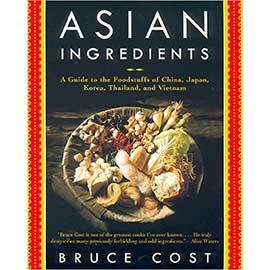 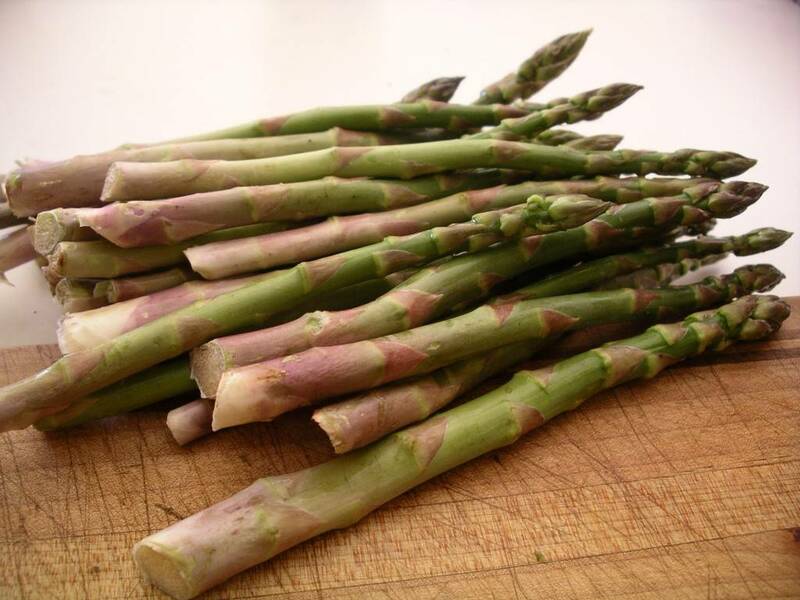 If you don’t already know, the bottom end of asparagus is woody, fibrous, and unpleasant to eat. 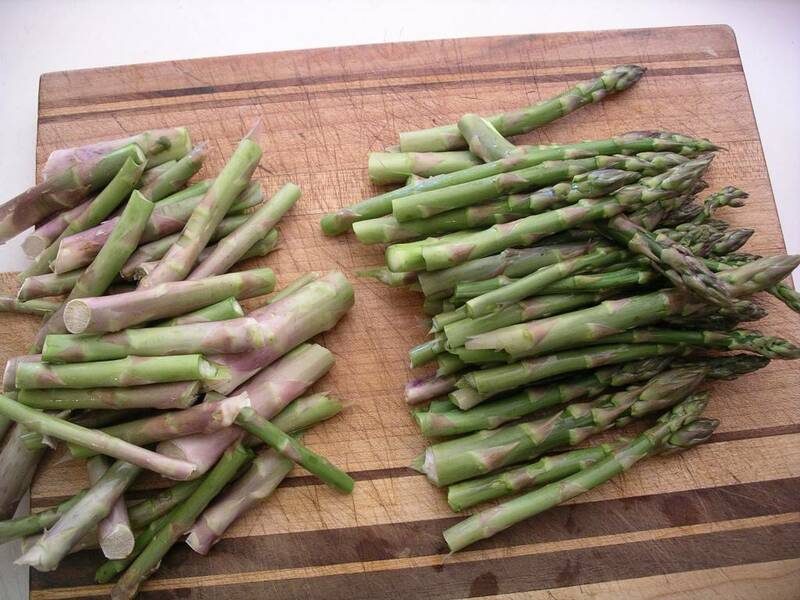 It needs to go in the compost and not in the pot. 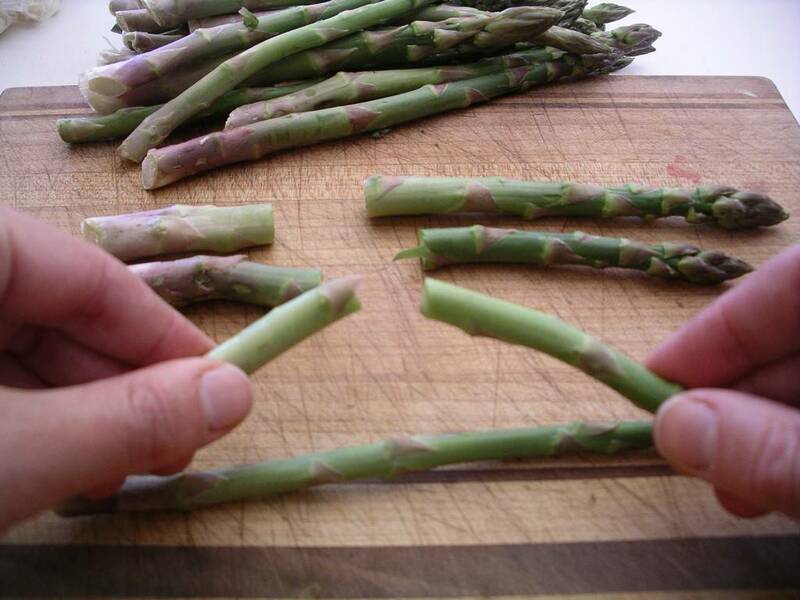 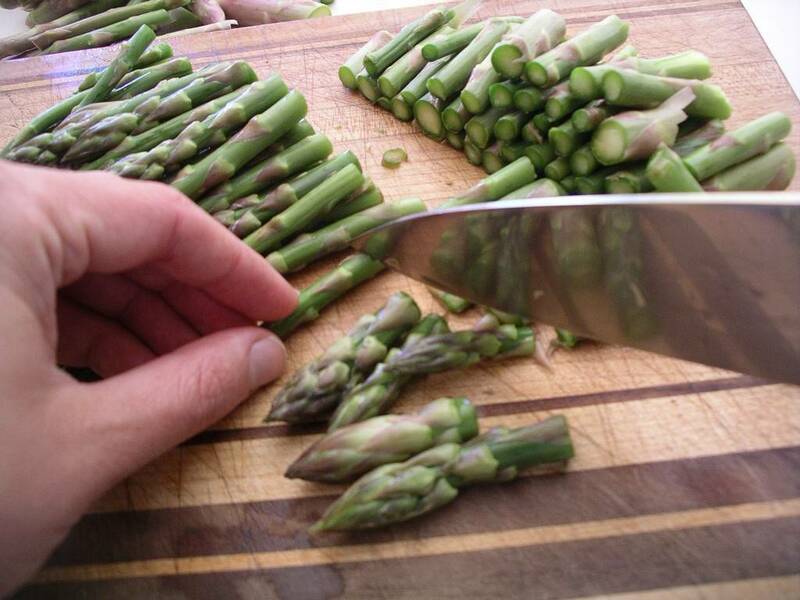 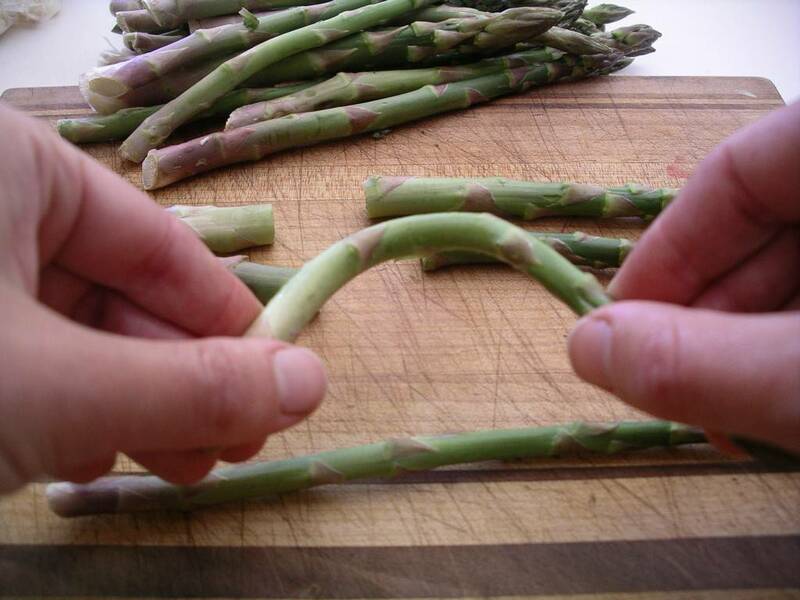 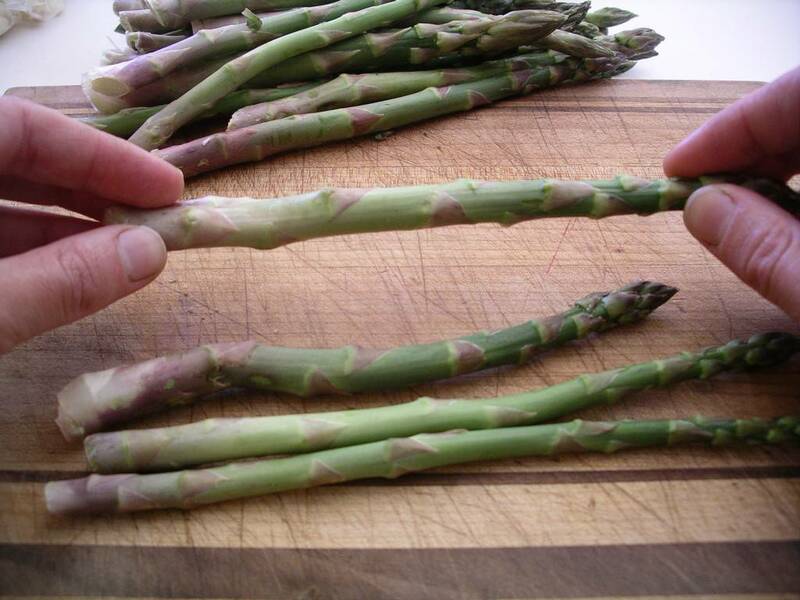 But on every spear of asparagus, the fibrous end is a different length, so you can’t get away with cutting an inch or so off the bottom and hoping for the best.